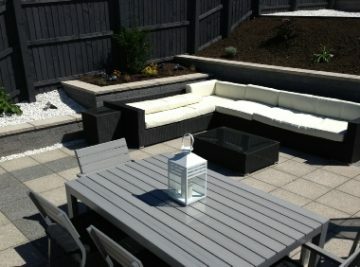 The Garden landscaping team at Direct Gardens are professional providers of walling and step installations and products. 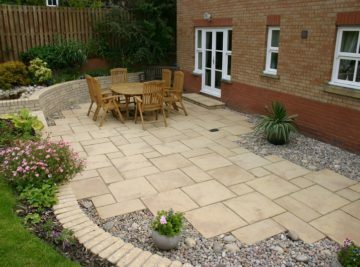 Our Garden Walling and Step Landscaping Service is comprehensive offering a broad range high quality of products and diversive garden designs to to suit any property. 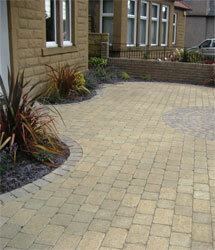 We are are a trusted and accredited garden landscape paving installers. Our work is regularly monitored by our supplier partners, such as Marshalls, Stonemarket, & Bradstone. 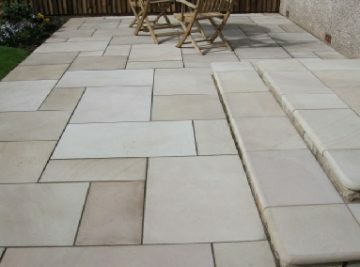 You can visit our Paving Patios and Paths page to find out more or view our garden showcase, to see, examples of patios, paths & paving that our garden landscaping have installed. 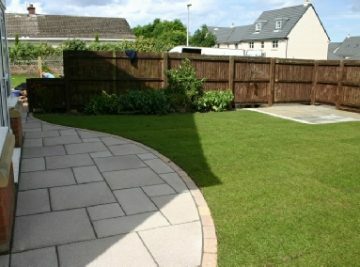 Block Paving and driveway installations are a major part of the The Garden Landscaping services that we provide across Edinburgh and throughout the Lothians. 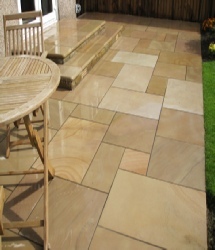 We install well known brands such as , Marshalls Heritage, Saxon paving, & Stonemarket’s Opera paving ranges. 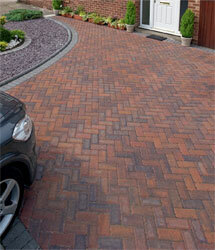 Visit our Block Paving & Driveway installation page to find out more. 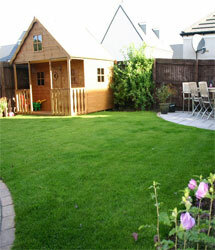 At Direct Gardens we provide a broad range of high quality Timber for Garden Decking & Fencing. Our range of woods are carefully selected to provide durable weather resistant solutions for your decking or fencing project. With 15 years in the provision decking and fencing for garden landscapes rest assured we can find the timber range perfect for you. We are Proud to show off our show case portfolio of award winning garden designs and garden landscaping projects. View 4 event gardens that we have won awards for. Including before and after pictures and client testimonials. The garden Landscaping Team at Direct Gardens can improve your existing timber or concrete base for your garden hot tub , summer house or garage. Installing a new garden structure from scratch We can help with that to . Why not give us a call! 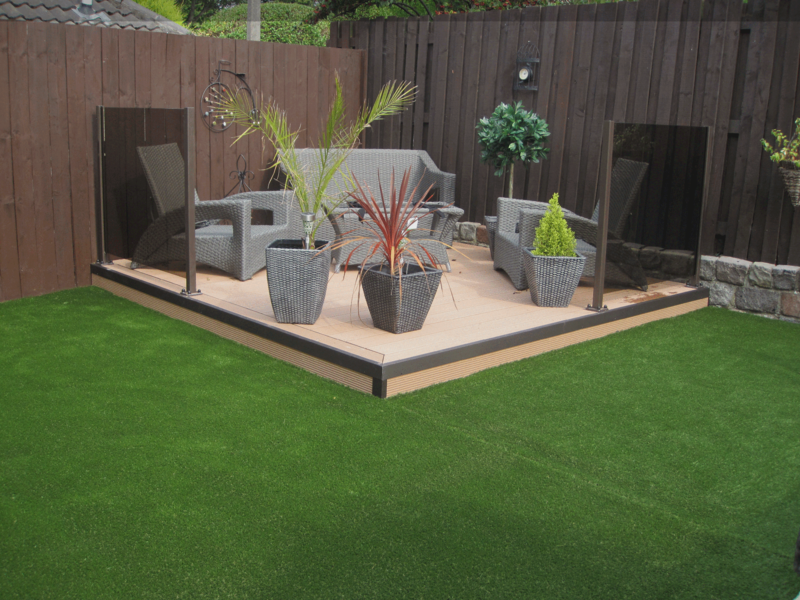 Revitalising your garden landscape with new Artificial grass Turfing or Planting can make a huge impact on the overall look of your garden. We provide a variety of turfing solutions from natural to artificial grass types. Customers can further complement their new grass by choosing from our wide range of Garden Plants . Assistance with new or previously installed drainage systems. Ground stabilisation for gardens patios driveways block paving etc Advanced drainage and runoff techniques, leveling of unstable installtions. Need help with your garden drainage contact our garden landscapers, we are always happy to help! 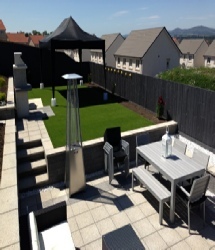 The landscapers at Direct Gardens offer a comprehensive Garden landscaping service across Edinburgh & the Lothians. From Initial Garden Design to the supply and installation of your complete garden. We combine your initial landscape garden ideas and visual planning to provide you the customer with a suitable attractive landscaped garden installation. Whether you are searching for inspiration to improve your existing garden or want to develop a new plot we can help. 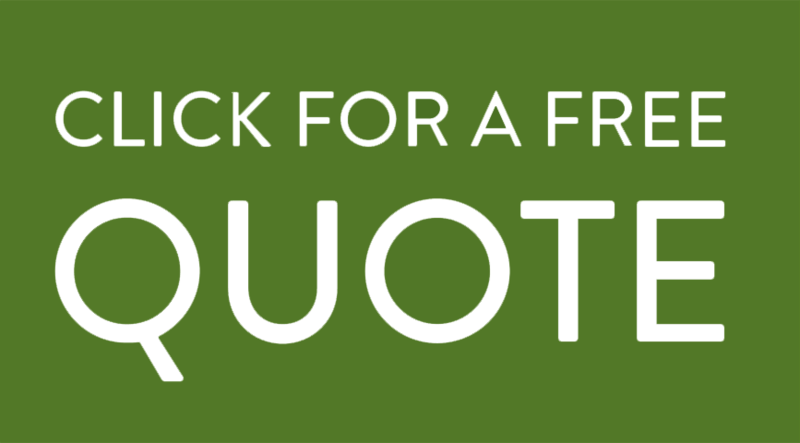 Contact Direct Gardens to communicate with a friendly member of Staff and receive free advice and a free quotation. By submitting your information you agree to us storing & using your details for the purposes of processing your application and communicating with you. We have no hesitation in recommending to our friends and family the workmanship and helpful approach provided by Dave and his team at Direct Gardens, Dobbies. I think the whole build had resulted in us both feeling pretty stressed by the end of it so it is lovely to be able to relax in the tranquil oasis that the courtyard garden is now! If Peter wants to have a look at the end product please just let me know. We would like to thank you and your team for the prompt, professional and friendly service you and all your team provided. We were more than happy with the lovely path and extended circle you created for us. We are without hesitation , planning our next projects for Direct Gardens. I would just like to thank you and your team for the wonderful job you did in my garden. The quality of work was of the highest standard. Your team were punctual, professional, tidy and courteous. I was also impressed by your competitive prices. I do not think I could have got better value for money anywhere else. If anyone is considering contacting a firm regarding garden projects, then do your self a favour and contact Direct Gardens. You will not be disappointed. Thanks very much for all the planting work it looks fantastic. We were on holidays from early Thursday till late on Sunday night so came back to it all done which was great. It's all looking very good. To all at Direct Garden's a big thank you for the work you carried out. From start to finish I felt the project was carried out very professionally. From the initial consultation with Dave I felt like Direct Garden's had a very good approach and the vision we were looking for. I found Neil and the guys that worked on the project really hardworking and very nice to deal with. The project was all finished on time and to budget. We are now really enjoying the garden and it has changed the way we use the space completely. I would recommend the company to anyone needing landscaping work done. We would just like to say thank you for giving us a beautiful garden once again. From the initial contact to the work being completed it was a pleasure dealing with you all. The workman and project manager were there on time when they said they would be and asked if everything was ok when we met in the morning they advised me of what was happening in the garden that day. They kept the place nice and tidy at the end of the night and finished the job on time. It is very easy for some companies to promise the earth and fail to deliver but Direct Gardens certainly lived kept their promise and I would recommend anybody to use you. I will be back in touch when we decide to go ahead with the front garden.. I have enclosed a couple of photo’s of the finished article for you should you wish to use them. Many thanks indeed to all you good workers for a job well done, while our wee terrier Candy, now has a safe little playground. “Just got home and checked out the work and what a fantastic job! Delighted with it and also the extra tidying up of the drive was a very pleasant surprise”. Will do shout out for the lads on air tomorrow. Thanks again!! “ I would like to take an opportunity to thank you and your staff who treated us with the utmost respect, particularly those who laid our new drive. You came highly recommended and lived up to our expectations. We are absolutely delighted with the result. 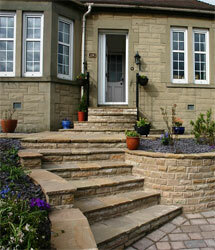 The high standard of workmanship has not gone unnoticed by neighbours and passers-bye alike”. Mr. & Mrs. Storie, Willowbrae Road, Edinburgh. “We would like to take this opportunity to recommend Direct Gardens for the professionalism that you have shown, from your initial visit, survey and discussions to the overall performance of your staff, we are so pleased with our new driveway, screen wall and wrought iron gate”. Direct Gardens met with all our expectations from using quality materials, well trained and respectful staff and all this within our budget. “Just to say thanks to you, Tommy and the rest of the team for the great job you did transforming our garden. We appreciate that it was not the easiest of jobs for you. We would also like to thank Peter Dunbar, whose thoughtful design has given us the garden we wanted”. “Just a brief note to thank you for the work involved in replacing my front door step. I am delighted with the standard of work and the finished product looks superb and very much to our liking. I found Direct Gardens very easy and extremely helpful”. John Marshall, Ferguson Court, Musselburgh East Lothian. “recently my husband and i had a ramp installed at our kitchen door, this involved a new door for my wheelchair access, also a new path leading from our back kitchen door to the front gate”. We live in a 4 in a block lower villa and therefore had very limited garden space, the ramp we have now - which only took over a week to build, is so much than the garden we had before the ramp was installed, and the path a 100 times better than our old path, the work men were also very friendly and helped me out in any way they could, bearing in mind i am wheelchair bound”. “We were delighted with the work carried out by Direct Gardens, they are a very competent and professional builders who created a lovely patio area, walls, and drying area, as well as laying the foundation for a summerhouse. He was friendly, open to suggestions, and equally, able to develop ideas and adapt the plans to our requirements as the work progressed”. 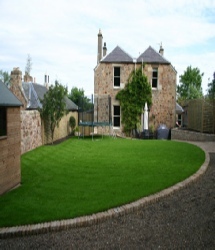 “As with the landscaping to the back garden, we were again delighted with the work that Direct Gardens did for us. In addition to being both hardworking and pleasant, they were creative and practical. No corners were cut on the job, and I feel that we have an attractive, high quality driveway”. Mr. & Mrs. Reid, Balerno, Midlothian. I am writing to say thank you to you all at direct gardens, for the great mono block ramp you built for my disabled husband ,it now enables him to get out and about more ,and the ramp also looks fab in our front garden. Many thanks for the excellent job you just completed for us. We are very pleased with the results and feel we have a really nice new driveway. Can you please pass on our thanks to your team too. Direct Gardens supplied a complete package of services from design ideas, to securing planning permission, and throughout the construction work provided a highly professional customer service. Their attention to detail, quality of materials, workmanship and completion of the work on time and to budget, was excellent. Dave and the team delivered an excellent service. Professional, helpful, good communication and arrived at arranged times. We are delighted with our drive and wouldn't hesitate to recommend Direct Gardens. We would like to thank you and the team at Direct Gardens for the excellent work carried out during the recent replacement and improvements to our driveway. The detailed quotations at the initial planning stage were clear and easy to understand and we were particularly impressed by the three alternative options you suggested which helped us to choose a design and layout which suited our budget. Special thanks to the friendly and hard working installation team of Steve and Davy who kept us fully informed as the works progressed and ensured the site was clean and tidy at all times. Our new driveway has been much admired and we have no hesitation in recommending the services of Direct Gardens to any future customers.